We have changed our paperwork over to electronic medical records. A link for new patient paperwork will be emailed to you to fill out from the convenience of your home computer, tablet, or cell phone. However, if you prefer, you can fill it out in our office, but please arrive 20 minutes prior to your first appointment time. What to expect during your first visit and subsequent visits: Your first treatment with Ben consists of an in-depth health review during which your current health concerns, history and health goals are discussed. Most of this information is gathered from the initial paperwork that you fill out, which is reviewed and guides the discussion. Further questions will also be asked to aid Ben in determining a pattern and treatment plan. Chinese Medicine relies on traditional diagnostic tools, which include examining the pulse, tongue, abdomen, channels and other observations that are made by Ben. Not all of the tools are necessarily used each time, but they are available when required. This along with the discussion and information gained from your initial paperwork allows Ben to determine a pattern of disharmony that will be treated with acupuncture and possibly herbs, moxibustion, cupping, tui na, dietary and health advice or qi gong exercises. The first visit usually lasts 1.5 hours. Subsequent visits begin by assessing your progress and treatment either continues along similar courses of action or is modified to meet the changing nature of your condition. 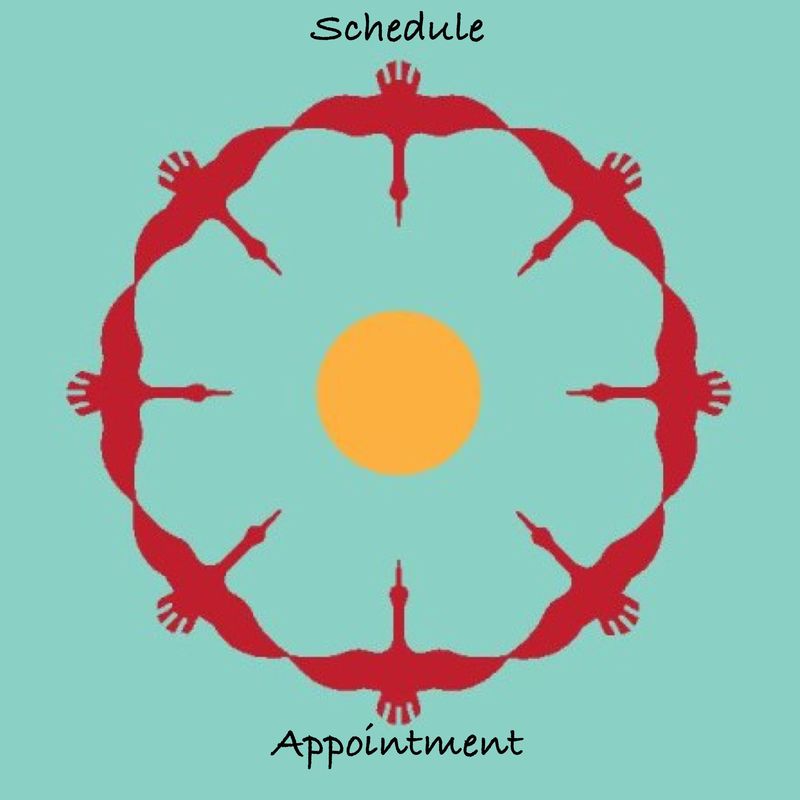 These appointments typically last an hour. For initial appointment’s that start at 8:30am or 2:15pm do not arrive early. How to come prepared for acupuncture: In general, it is best to have eaten a small meal several hours before your appointment. Fasting is not advised prior to receiving acupuncture. It is also best to wear loose fitting clothing as tight fitting pants and shirts restrict access to points along your legs and arms. Furthermore, tight clothing can restrict qi and blood circulation, which is counterproductive to acupuncture treatments. What does it feel like? : Acupuncture is generally not painful, but different sensations are often felt. Common experiences include, a feeling of movement, electricity, warmth, lightness, heaviness, distention or an achy feeling depending on the point. These are all favorable signs of qi arriving and are correlates of acupuncture taking effect. Patients often become deeply relaxed on the table and many even fall asleep during treatment! Do you reuse needles? : No. All needles are single use and come prepackaged in sterilized packets. In the past, autoclaving and other measures were used for reusing needles, but this is currently not standard practice in the United States. All acupuncturists are required to complete a “Clean Needle Technique” course prior to licensure. Do I have to have a specific health concern to receive acupuncture? : Absolutely not! Acupuncture can be used as preventative medicine and treatments for optimizing athletic performance, reducing stress, or boosting your immune system to prevent future illness are always appropriate. Furthermore, Dis-ease often begins in the acupuncture channels/meridians and treating channel related illness before they effect the Zang-Fu (Internal Organs) is an excellent way to prevent future illness from arising. How often should I receive treatment? : Frequency of treatment is dependent on the nature of your health concern. In general, acute conditions respond very favorably to acupuncture and sometimes one to two treatments can address the problem. More chronic problems require a longer course of treatment. Just as chronic health conditions emerged over months and years versus weeks and days; treatment might require weeks or months before health goals are achieved. To work on chronic conditions, patients are often initially seen twice a week for a couple weeks and then tapered back to once a week, twice a month, once a month, four times a year, once a year, etc. Furthermore, it is important to realize that acupuncture is only one tool in nourishing your overall health and that patients who receive the best results are those who are motivated to make the appropriate changes required and to accept responsibility for their own health. Do you accept insurance? We are an in-network provider with Memorial Health Partners (MHP) – (a PPO network). If your insurance company participates in the MHP – PPO network AND if you have acupuncture as a benefit on your plan, then we will be happy to file a claim with your insurance company for your visit!